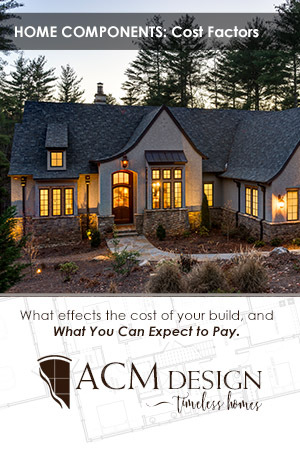 At ACM Design, we want to provide everyone with valuable information to help them with their home design project. This guide is designed to help you understand the basic costs associated with building a new home in order for you to consider all of the costs associated with new construction. This allows you to establish a budget that works for both your wallet and your heart. Before you build, understand the process and the costs! Please fill out the form below to request your free download! What best describes your current project or potential project? *When requesting a free download, you agree to be added to our email marketing list. You can be removed at any point.